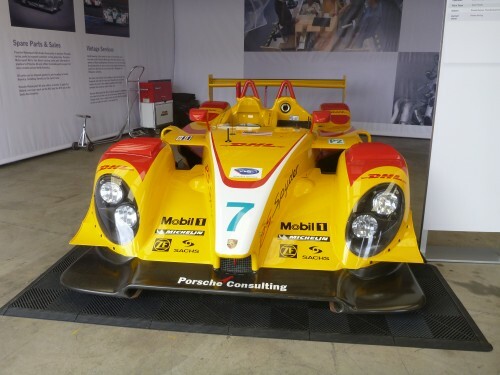 Long time VRCBC member Hugh Archer has sent us some photos of his trip to the Porsche Rennsport Reunion IV at Mazda Raceway Laguna Seca over the October 14-16 weekend. Well-known BC vintage racers, Art Conner and Greg Campbell did very well in the Group 2 Eifel Trophy race, which had a field of 43 cars. 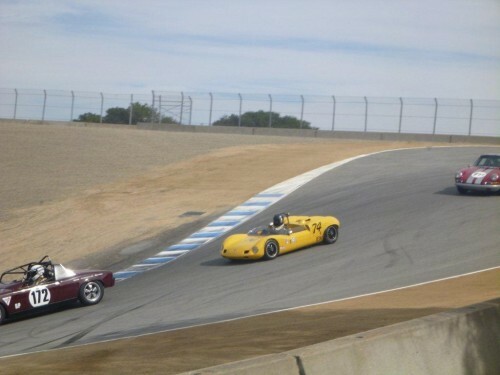 Art won with his 1964 Porsche Platypus Spyder and Greg finished fourth in his 1964 Elva Porsche. 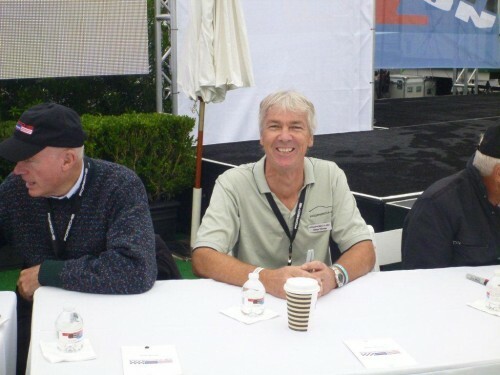 Greg’s dad, Tony (seen in the above photo) was a very successful Porsche ‘chauffeur’ in his day as well. He was inducted by the Greater Vancouver Motorsport Pioneers Society (GVMPS) in 2010. You can read about Tony’s career – and see a photo of a very young Greg – in Vince Howlett’s GVMPS story here. Kelowna’s Kees Nierop also attended, meeting and greeting enthusiasts together with many (50!) other long time Porsche drivers, such as Hurley Haywood, Derek Bell, Brian Redman, and Rob Dyson, and he also drove a 1976 Porsche 934 Coupe in the Group 4 Carrera Trophy race. 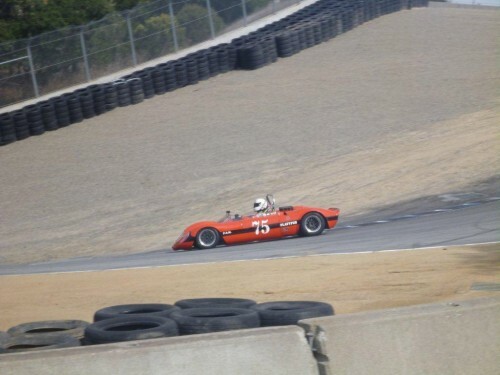 The Mazda Raceway site (here) has a lot of Rennsport Reunion information – including links to videos and the full race results.